This impressive imperial stout from Hays, Kansas is brewed with coffee and cacao nibs and described by the brewer as an “approachable, full-bodied beast. This Russian imperial stout is part of Carolina’s rotating offerings. It pours a deep, dark color and features a roasted, malty profile. This limited-time release foreign extra stout was brewed based loosely on a recipe for 1896 taken from the archives of an old Cork, Ireland brewery. For a base malt it uses Irish stout malt from the Malting Company of Ireland (also from Cork, Ireland). This stout was designed as a traditional English sweet stout, with lots of rich, creamy, roasted character. 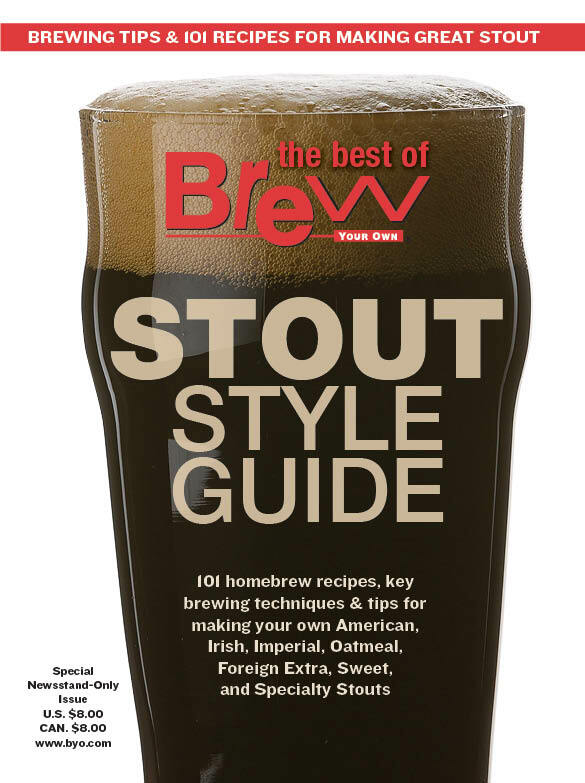 This seasonal oatmeal stout is named in honor of Firestone Walker’s Brewmaster Matt “Merlin” Brynildson, who earned the nickname because of his magical ability to rack up top honors at prestigious beer competitions. This is a rich beer, with dark chocolate and roasted coffee flavors. It boasts a truly creamy mouthfeel and dry finish. A spiced stout brewed with oats and lactose, then finished with vanilla beans, ancho chili peppers, cinnamon sticks, and roasted caco nibs. A truly innovative stout. Beer Geek Breakfast, which adds French press coffee to an oatmeal stout, is the beer that put Mikkeller on the map and was voted number one stout on Ratebeer.com. The “double stout” in this beer’s name is not indicative of a strong beer. Actually, it’s quite low in gravity and makes a particularly good session pint. What the double means to me is that this beer literally has double the flavor of other low gravity stouts. East Kent Goldings hops lend a spicy character to the nose which blends in perfectly well with its rich, thick toasty body. The deep roast edges finish into a crisp dryness that ensures this beer’s utter drinkability. You better get this beer fast because it’s only seasonally available.